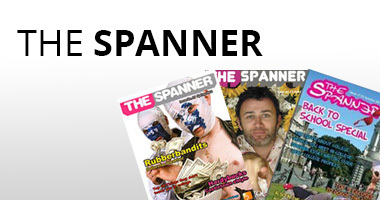 Every Thursday The Spanner Ezine goes directly into the inboxes of our 100,000 registered users. The Ezine contains original satirical material from that week’s topical news headlines that has a massive following and ensures open rates are kept high. There is an opportunity for an advertiser to take a Banner or MPU advertising position in this weekly newsletter which will link back to their URL of choice. The College Guide it’s the only magazine in Ireland that is distributed nationally to 33 colleges and 40,000 students directly. It boasts a readership of 80,000 students and it is distributed hand to hand by our full time educators across all campuses to ensure all material is delivered in an effective and timely manner. The students keep the Guide for whole year as it contains useful and practical information. If you are targeting students, The College Guide is a very powerful marketing tool.